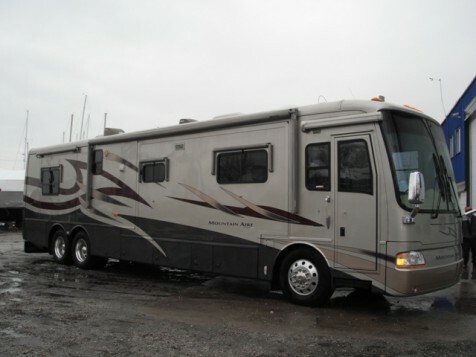 General Condition: This beautiful motor coach offers four bump outs with a queen bed aft and convertible sofa forward. Her large home sized galley is perfect for entertaining with full entertainment center inside and out. Overall shows very well with just a few minor scratches and a low 44K miles.